99% of Mortgage Lenders Approved! Lowest Rates for Mortgage Bankers! What is a Mortgage Lender Bond? Mortgage Lenders and Bankers are defined as any person or company who is compensated to originate, sell or services mortgages. Specifically, mortgage lenders loan money to the borrower at the closing table. In addition to being licensed, mortgage bankers must also get a surety bond in order to guarantee compliance with state regulations governing this line of business. Mortgage Lender Bonds protect consumers that are working with lenders to obtain a mortgage for their home. 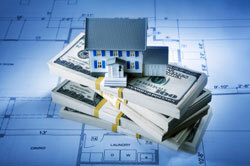 Lance Surety has a variety of bond programs created to get all types of Mortgage Lenders approved at excellent rates. Also known as Mortgage Banker, Finance Lender, Licensed Lender, and Mortgage Loan Company Bonds. How do I become a Mortgage Banker? How much does a Mortgage Lender Bond cost? If I’m a Mortgage Banker with bad credit, can I become bonded? Do I need a physical location in a state to become licensed and bonded? While Mortgage Banker licensing requirements may vary slightly from state to state, the general criteria to become a licensed mortgage lender is similar throughout the nation. In most cases, prelicensing requirements consist of completing an approved mortgage lender course that covers issues such as state laws and ethical responsibility. Once completed, mortgage lenders will need to submit the state’s license application, along with any licensing fee. A surety bond is also required, which will be filed with along with the license. These bonds are paid for on annual basis. In most cases, bond costs are determined based solely on owner credit. Mortgage Bankers with excellent personal credit may be eligible for standard market rates, which range from 1% to 3% of the total bond amount. If the owner has poor credit, annual premium typically ranges between 5% to 10% of the bond amount. In most states, we can approve higher risk applicants at no higher than 7.5%. Yes. While many surety companies only offer quotes to customers with excellent credit, Lance Surety has a number of exclusive Mortgage Broker Bond programs that allow us to approve just about anyone. One of the only exceptions would be if you have an open bankruptcy or past due child support. What you pay per year will depend on your personal credit, but regardless of your score Lance Surety is able to offer very aggressive rates to mortgage lenders. While our agency offers instant quotes based on owner personal credit, it is possible to lower the cost of your Mortgage Broker Bond by providing additional information. For example, if you have strong liquid assets and can provide cash verification, that could be used to strengthen your application. Strong business and personal financial statements can also be considered in determining your rate. This depends on what state you are looking to become licensed in, but in most cases you do not need a physical office. In the past, this was a standard state requirement, but as more business is being conducted over the internet, many states’ mortgage licensing laws are becoming more lenient. As each state’s laws differ, you’ll want to check specific state requirements to make sure you meet their criteria.